Redis Labs is a Bronze Sponsor at Cloud Foundry Summit Europe. Meet Redis geeks at booth 25 and explore the endless possibilities of Redis. 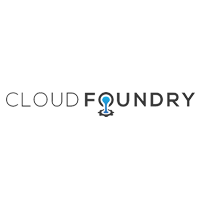 Cloud Foundry Summit is the premier event for enterprise app developers.Summit 2017 will make you an expert in microservices and continuous delivery in your language or framework of choice. Fast-track yourself and your business with the quickest way to deliver apps.